The Museo Nacional Centro de Arte Reina Sofía is committed to universal accessibility and works to continually improve services for visitors and to develop an education programme that is based on the principle of design for all, offering a quality service to a diverse range of visitors. The accessibility education programmes encompass both activities designed specifically for people with visual and hearing impairments and learning disabilities and other projects that look to establish long-lasting ties that activate participation and exercise the citizenship of these communities. Those people with a registered disability can enjoy free access to the Museo. Should they need support during their visit, the person accompanying them will also be exempt from the admission fee. Check full conditions. Lifts in the Nouvel Building and Sabatini Building have visual numbering schemes and are marked in braille and relief, but do not have audio indicators. Lifts in the Sabatini Building have a greater capacity than those in the Nouvel Building. All lifts have panoramic views, which means there is no fully accessible alternative for people with vertigo. There are benches in the cloister area on Floors 1, 2 and 3 in the Sabatini Building and some of the exhibition rooms. In both entrances there is a cloakroom service. In the Sabatini Building they can be accessed by ramp. In the entrance to the Nouvel Building there are automatic lockers for wheelchair users. For large items, using the cloakroom located in the entrance to the Nouvel Building is recommended, though it does not have wheelchair access. More information. Groups arriving in adapted vehicles have access to free parking in the Museo’s loading bay, with access from Calle Argumosa, on the corner with Calle Hospital. To avoid any inconvenience this service must be requested beforehand. 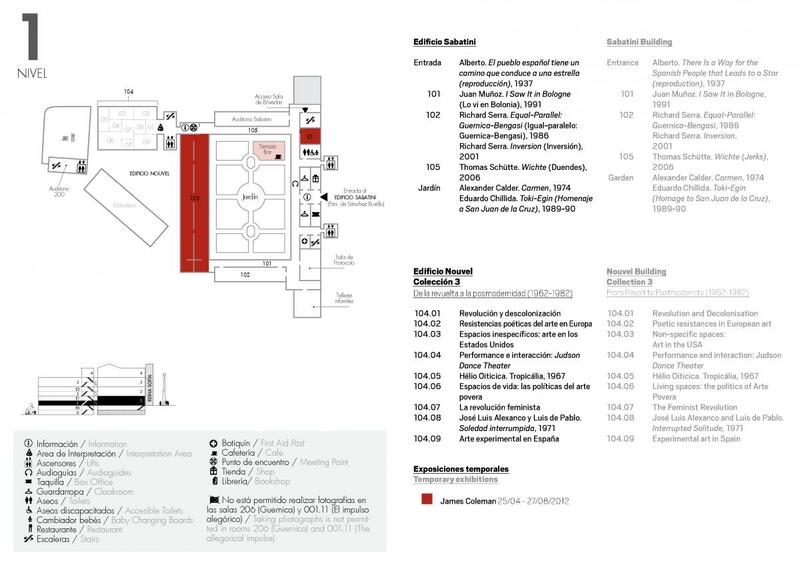 If you require medical assistance during your visit, there is a first-aid kit located in the main gallery of the Sabatini Building, Floor 1 (see map). In different connecting areas that join the buildings and access points to lifts general floor plans can be found. Maps of the Museo can also be acquired at the information points. A brochure with detailed information on the accessibility education programmes is available in both large print and braille formats, and can be acquired at the Information Points in the museum or download a PDF version here. Access to the Museo that is free from architectural barriers and the chance to move around the different spaces without discomfort and obstacles, these are the fundamental conditions for achieving full accessibility. Practically all areas open to the public are wheelchair accessible, and the work carried out to improve this aspect is ongoing. A whole range of services such as ramps, disabled WCs, seats and cloakrooms facilitate visits to the Museo. The entrance to the Museo through the Sabatini Building is wheelchair accessible. To avoid steps, the Plaza de Juan Goytisolo must be accessed from calle Santa Isabel or by moving along the edge of the Plaza, with the Museo building on the left. Download Access Map. Access through the Nouvel Building is fully accessible. Access through the nearest entrance in the Plaza del Emperador Carlos V is recommended because it has a flatter ramp. Download Access Map. Access to the Palacio de Cristal can be gained through a ramp with various sections, while access to the Palacio de Velázquez is obtained via a platform lift. Please ask the security staff to activate the lift by pressing the button. See map. The doors that provide access to the different areas in the Museo have sufficient opening width. The majority are hinged and occasionally move into busy areas. They are normally operated by using a handle; however, some doors can be particularly heavy. The majority of slopes in the exhibition rooms are equipped with ramps, although these are without handrails on either side or wide approach areas. The Protocol Room in the Sabatini Building and the Bóvedas Room are not wheelchair accessible. There are lift towers in the Sabatini Building, located to the left and right of the main entrance, linking Floors 1, 2, 3 and 4. The Nouvel Building lifts connect Floors 0, 1, 2 and 3 but have a more limited capacity, allowing priority access for only one wheelchair per lift. The different desks distributed around the Museo are generally between 1 and 1.10m high. These desks do not have adapted areas that allow wheelchair users or people of short stature to approach comfortably. This is accessed through ramps with a suitable gradient. Wheelchair users must position themselves in the aisle or in front of the first row of seats. Accessing the stage without assistance is not possible. Wheelchair users gain access from the lobby via a restricted use lift and must position themselves behind the last row of seats. The auditorium has a cubicle with disabled WCs. Wheelchair users can access the stage through an accessible alternative route. Wheelchair users can access the auditorium through the lobby, which doesn’t have slopes and has two areas reserved in the central rows. There are two disabled WC cubicles, one for women and one for men, and wheelchair users can access the stage through an accessible alternative route. In order to use the lifts, the Museo staff must be notified. If any material is out of reach, help must be requested from the staff in charge. In order to use the lifts, the Museo or bookshop staff must be notified. The Museo offers visitors different spaces for rest and conversation. Located in the Sabatini Building entrance. In order to use the ramp access, the Museo staff must be notified. The Café and Restaurant located in the Nouvel Building are wheelchair accessible through automatic doors. The space between tables allows ample wheelchair mobility, and there are also built-in disabled WC cubicles for men and women. However, the bar is not adapted for wheelchair users. These must be requested at the Information Points in the Sabatini and Nouvel Buildings. The request will be registered and the personal details of the applicant will be noted down, including their ID number, passport number, or similar. Accessibility measures for blind people or those with visual impairments are oriented towards the effective dissemination of information, facilitating mobility and allowing aesthetic enjoyment, both independently and in the company of the Museo’s educators, who guide, support and personalise visits. The combination between verbal information, touch access and sound is one of the keys to these programmes, carried out with support from the ONCE organisation. The Museo offers blind people or those with low vision the possibility of participating in touch tours and descriptive visits about various works from the Collection. In certain areas of the Museo the contrast between doors and wall surfaces is not particularly clear. Although glass doors are marked with logos and white dots, at times the contrast may not be enough and can cause reflections. The majority of the doors are hinged and occasionally move into busy areas. Guide dogs and assistance dogs are allowed through the submission of the relevant documents beforehand. The Museo has published a brochure in large print with detailed information on the accessibility of its education programmes. It is available in PDF at the Information Points around the Museo, or it can be acquired in the Department of Education Programmes. Education Programme Brochure in large print. A brochure in braille is available with general information on the general services in the Museo, the basic contents of the Collection and the activities geared towards blind people and those with low vision. 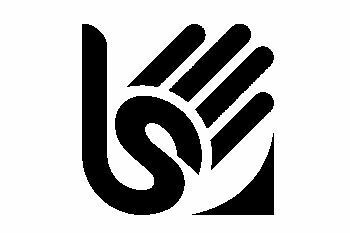 Through Spanish Sign Language (LSE), recently recognised as an official language, and the use of hearing assistance systems, for instance the hearing loop, the entire Deaf community have the chance to visit, participate in and enjoy the Museo. Regardless of the system used by each deaf person or those with hearing loss, the Museo can be visited either independently or with organised groups, and all scheduled public activities can also be enjoyed. Every month some of the guided tours feature a scheduled date in which a Spanish Sign Language interpreter is available. There are also personal hearing loops for acoustic amplification. Oriented towards deaf people that wish to participate in any of the Museo’s activities, for instance courses, workshops and guided tours. Free service. The service must be requested upon registration, with at least 15 days’ notice. The information and ticket desks in the Sabatini and Nouvel Buildings, along with the audio guide desk in the Sabatini Building (where sign guides, personal hearing loops and radio guide systems are available), are equipped with a permanent sound amplification system via a hearing loop for visitors with hearing aids, found in the position “T” (telecoil). The desks are marked with an identifying symbol. 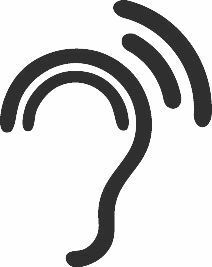 The Museo has a free loan service of personal hearing loops available to people with hearing impairments or hearing loss, enabling the services offered by the Museo to be used normally. 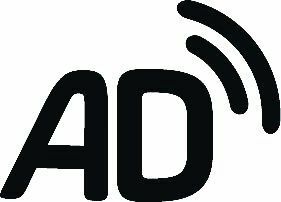 When using the audio guide service, a hearing loop compatible with the equipment can be requested without any additional cost. The personal hearing loops are available for any of the aforementioned visits. They can be acquired at the Audio guide desk in the Sabatini Building. 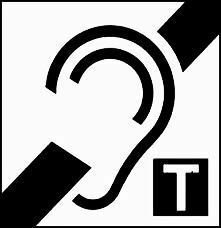 The receiver and personal hearing loop can be acquired from the visitor service staff, next to the desk marked accordingly. An ID document is required as a deposit, and will be held until the equipment is returned when leaving the Auditorium. The Museo is a space for dialogue that must stand as a reference point for inclusion and social coexistence, as well as a place for individual development, where the chances for reflection, critical education and values are multiplied and strengthen capacities for everyone. Every school year the Museo offers diverse activities and workshops geared towards groups from Occupational Centres and Special Education Schools. Check programme. Groups arriving in adapted vehicles have access to free parking in the Museo’s loading bay, with access from Calle Argumosa, on the corner with Calle Hospital. This service must be requested beforehand. Information and emergency signs use internationally recognised pictograms. If any sign is difficult to understand or identify, please ask a member of the information staff or send a suggestion. If you require medical assistance during your visit, there is a first-aid kit located in the main gallery of the Sabatini Building, Floor 1.